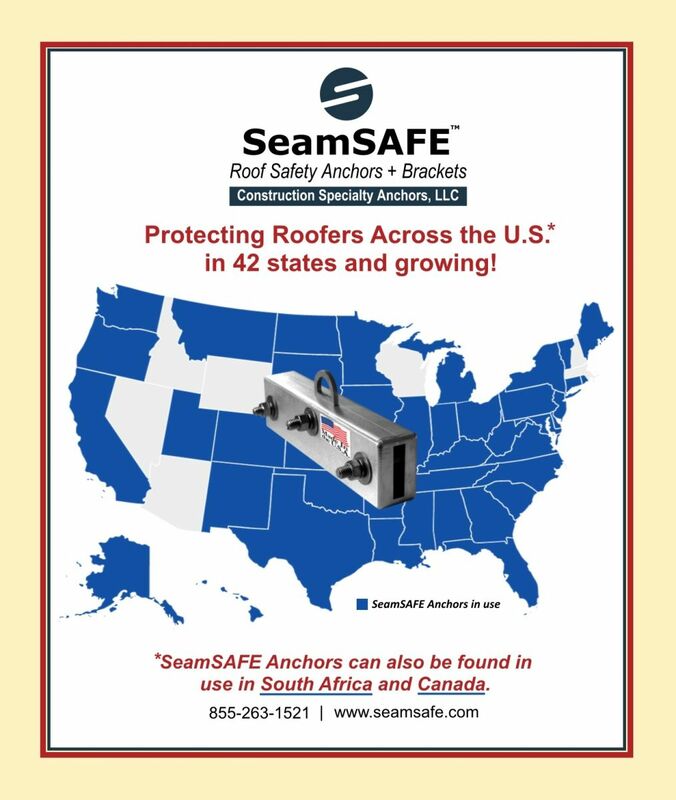 Utilization of SeamSAFE anchors and brackets continues to grow among standing seam metal roofers throughout the country. We are pleased to announce that SteamSAFE products now can be found protecting roofers in 42 states across the U.S., as well as in Canada and South Africa. The map below illustrates where SeamSAFE anchors are in use. We are honored to serve the industry with safety anchors that exceed/meet OSHA and ANSI standards. And, we are dedicated to advancing our mission of providing unmatched quality and fall-arrest protection to roofers. With a full range of anchor sizes, along with the option of anchor customization, we strive to continue to serve an increasing number of roofers domestically and internationally. To learn more, click here: About SeamSAFE.